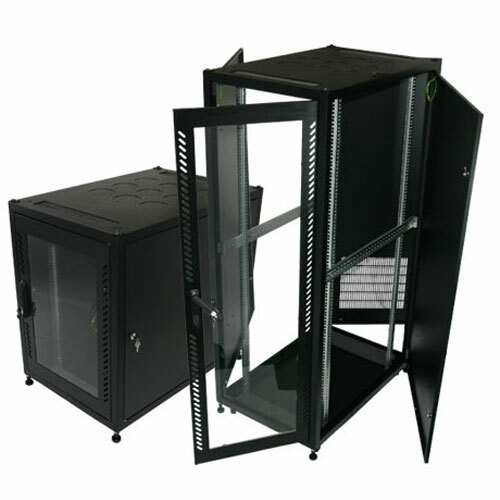 Applications for server system, telecommunication system, community network, network system, monitoring system. "D.I.Y." flat packages for saving more freight cost and room. Four additional entries on the roof and plinth are good for the cable management. Sponges on cable entries can block dusty and keep cable and keep the system secure. Design of the roof & the plinth for easily assembly & dismantled. Temperated on the door can keep security of the system and convenient to monitor the condition without opening the door. Black & Beige for color selections .